Good morning! 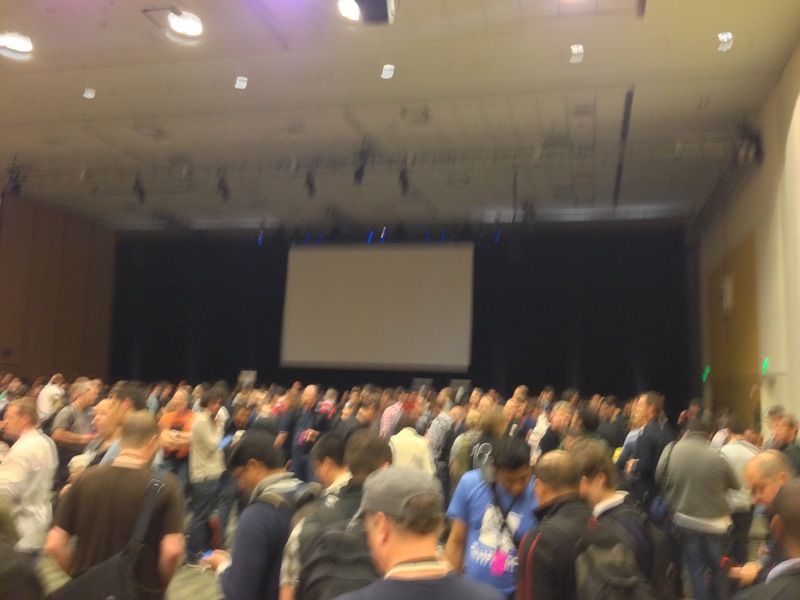 So, here I am at WWDC 2013. I’ve had some coffee and a muffin compliments of Apple, and am now cooling my heels on the second floor. This is much better than in years past when they’d let us chill-out in the nice SF fog…until 9:55 after which we’d literally run to find a seat.